May you find great value in these inspirational Gilbert K. Chesterton Quotes from my large datebase of inspiring quotes and sayings. better still, feel a healthy indifference to it. for the very desire to be distinguished is vulgar. Cruelty is, perhaps, the worst kid of sin. Intellectual cruelty is certainly the worst kind of cruelty. capable of defying his torturer but not of keeping his temper. nine times out of ten, a proof that you ought to publish it. but a bad novel tells us the truth about its author. There is nothing the matter with Americans except their ideals. The real American is all right; it is the ideal American who is all wrong. and what people call partiality may simply mean mental activity. is a thinker who has thought thoroughly and to a definite end. is to shut it again on something solid. We exult in its very invisibility. and should never be rationalised. and then going away and doing the exact opposite. Dead" to people who never knew that Lord Jones was alive. is saying no good son should warn his mother of a cliff until she has fallen. is the only thing that the free man makes for himself and by himself. for good manners always mean our own manners. I shall feel that I have worked with God. about something you do not want to know. on the surface and their toughness in the middle. The Christian ideal has not been tried and found wanting. It has been found difficult and left untried. he wants to be healed because he has been hurt. It means a strong desire to live taking the form of readiness to die. like the art of fireworks. I was planning to go into architecture. But when I arrived, architecture was filled up. Acting was right next to it, so I signed up for acting instead. careless of his life even in order to keep it. claimed exclusively by the young. common people of their commonsense. while aristocracy means government by the badly educated. Large organization is loose organization. Earth is a task garden; heaven is a playground. Journalism is popular, but it is popular mainly as fiction. Life is one world, and life seen in the newspapers is another. If you do not understand a man you cannot crush him. And if you do understand him, very probably you will not. 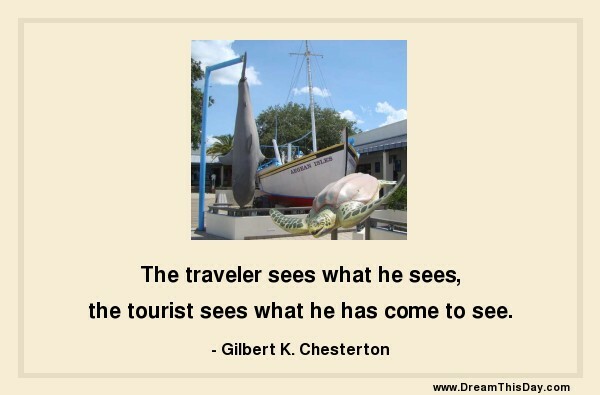 Thank you for visiting these Gilbert K. Chesterton Quotes and Sayings - Quotes by Gilbert K. Chesterton.